Menu Budget For Your Order! Set a realistic menu budget that you might have to follow to place a food order. From menus brought into class or found online, choose a meal you would like to order for two... or for a small group of friends. How many people must the order feed? What additional expenses must you add that are not food items? These might include taxes, tips, travel. Write up your order with the list of items down one column and their prices on the right. Total it up and add on the additional non-food expenses you think of. 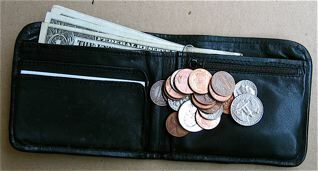 Do you have any money left over for emergencies? Return from Menu Budget to Menus hub page for even more menu teaching ideas! Return from Menu Budget to Real World Content Advantage home page. Budgets. Here's a budget-friendly offer to help you build a fully integrated, feature-packed website. Solo Build It! is offering a first time ever monthly billing option for building an e-business website. Check it out!